Eminem really decided to get into hip-hop after hearing License to Ill by the Beastie Boys. Before that, he had aspirations of becoming a comic book artist, but he still incorporates the knack for storytelling in his music. 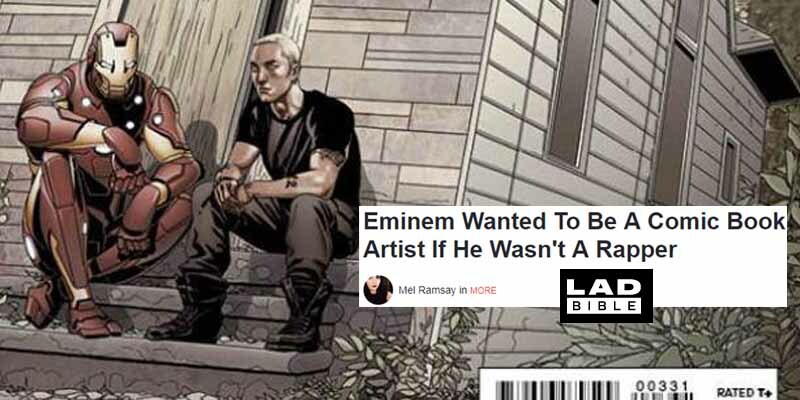 His collection of comics was described by a Shady Records exec as “otherworldly”. His fame also got him on the cover of Mighty Avengers with Iron Man. 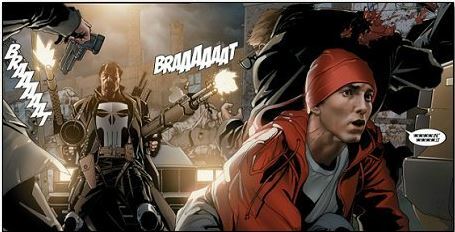 He also co-starred in a Punisher miniseries where Frank Castle saved him from a hit put out by a collective of angry soccer moms.